Who will join us on our journey to through the galaxy to visit the brilliant stars and silvery moon? 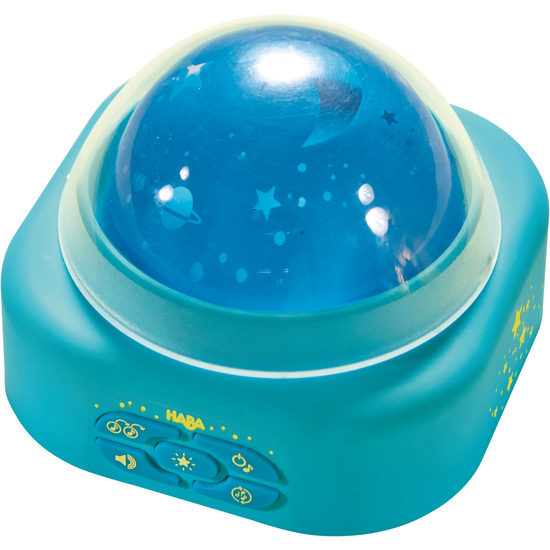 Three wonderful LED colored lights surge in consecutive harmony, helping your little one fall asleep. Gentle melodies and sounds lend added comfort. The automatic switch-off function is especially practical. LED illumination, batteries are not included (3 x 1.5 V AA).